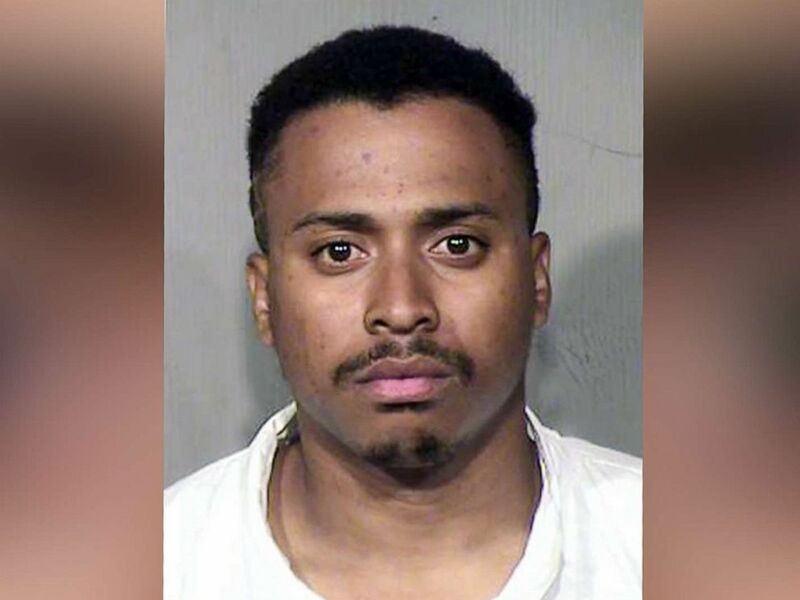 A Phoenix man is charged with four murders and multiple assaults after allegedly killing his wife, two of their children and a friend over apparent suspicions that his wife was having an affair with his brother -- who was not among the victims, officials said this week. Officials said that Smith had returned home from a local bar around 8 p.m., full of suspicion over the perceived infidelity and confronted his wife, who denied the accusation. Smith then then fatally shot wife Dasia Patterson, 29, and their 5-year-old daughter, Nasha Smith, according to court records cited by the Associated Press. Their 7-year-old daughter, Mayan Smith, died from apparent blunt-force trauma, allegedly by the use of a bat, according to the Associated Press. "It is from my understanding that he elected not to shoot the 3-years-old [3-year-old], she was under the bed when officers got to her," said Thompson. This undated booking photo from the Maricopa County Sheriff's Office shows Austin Smith.